*Note: For best results, if possible connect the device directly to the router via Ethernet cable. Open a browser, and navigate to 192.168.1.1, the screen below should appear. Use "Click here to display" to show the current wireless passphrase. A separate pop-up window will open showing the current network key. If any changes were made, Hit 'Apply/Save' and the router will broadcast the new information. If no changes were made, skip this step and continue to connect wirelessly. Note this for your records as this is what you will be using to connect wirelessly on all devices. 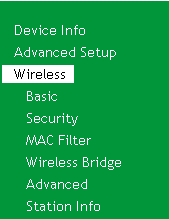 Click on 'Basic' to load basic wireless settings if not already loaded. In the 'SSID' textbox, erase the current and enter a new one. Click 'Apply/Save' to apply and re-connect using the new SSID. 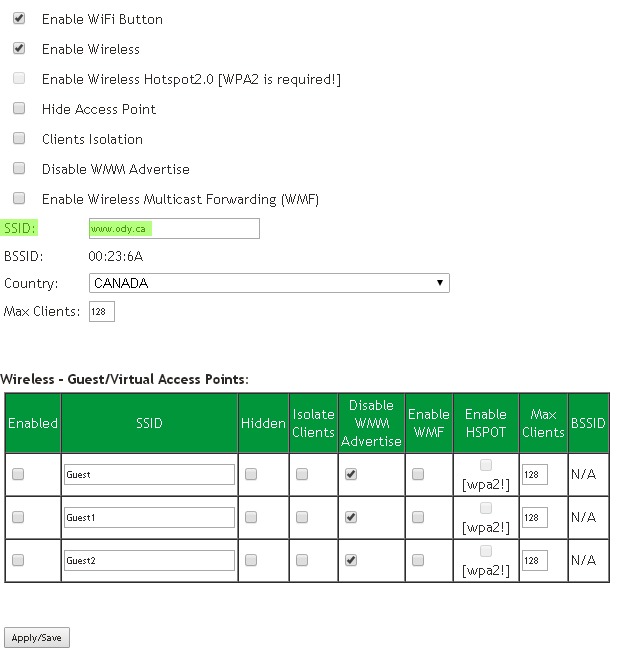 Your device's operating system will vary on how specifically to scan for wireless networks. To begin, scan for wireless networks, Your wireless network should be listed as an option, upon choosing the network your device may ask you for a password. Enter the password/key for the wireless router and connect.